A glass of purple grape juice a day could leave you feeling in the pink. It is the most effective of all fruit juices at preventing heart disease and cancer, says a latest study. It has long been known that fruits contain antioxidants called polyphenols which help to neutralise unstable oxygen molecules called free radicals. If left unchecked, these molecules can harm cells, playing a role in everything from ageing to cancer. Researchers at the University of Glasgow in Britain wanted to see how much polyphenols remained once fruit had been turned into juice, reported the online edition of Daily Mail. Professor Alan Crozier and other researchers tested 13 types of juice from a supermarket, including those made from pomegranates, grapefruit, apples, pineapples and tomatoes. They were a mixture of ‘not from concentrate’ and ‘concentrated’ varieties. 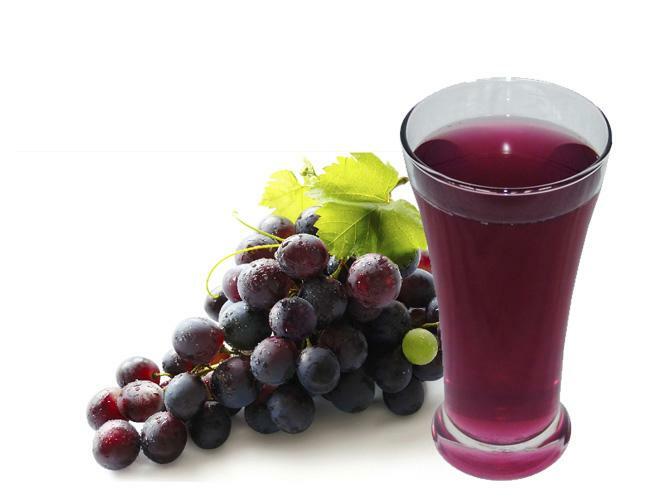 A drink made from purple Concord grapes had the greatest level of antioxidants, with cloudy apple, tropical and cranberry juices coming in next, the researchers found. Generally, the darker juices were best, with purple grapes having the highest levels of polyphenols, the researchers said in their study published in the “Journal of Agriculture and Food Chemistry”.